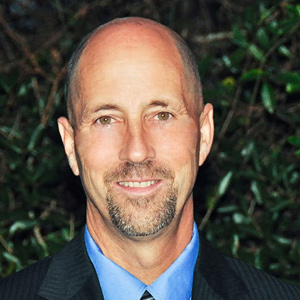 Our company was started by an owner with a background in the printing industry. 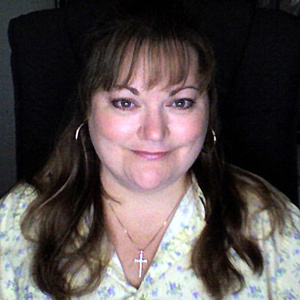 After years of watching customers pay for services that she knew they could do themselves in-house, for much cheaper, she gave up her 20 year career in printing to start Your Office Stop in 2003. The company started with a focus on laminating machines, laminator supplies, beautifully designed laser and inkjet printer border paper stocks, and paper folding machines. These items offered customers the same type of equipment and supplies, at affordable prices, that people were paying good money to their local print shops or quick copy shops to create or do for them. Over the years our product line has grown and we now offer many other types of office equipment and supplies, much of which you can not even find at your local "big box" office supply stores. As a matter of fact, we are not at all like one of those local retailers who are too busy, or just don't care, to offer personalized service to their customers. And, unlike them, we know our product line and are able to offer support, or at least we can put you in touch with the right person for support, both before and after the sale. 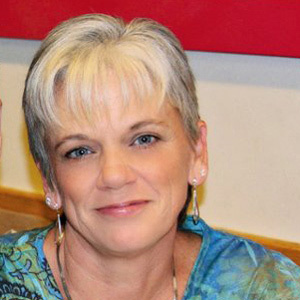 Our employees are dedicated and have been with us a long time and we are a family owned and operated business. Think of the good old fashioned local "mom and pop" office supply stores that towns used to have, before the influx of "big box" outfits like Staples, Office Depot and Office Max. We ARE that local "mom and pop" shop, but with a global reach via the internet! We totally understand that purchasing online can be a scary thing sometimes! You never know who you are dealing with, or what their reputation is. Ours is solid. We strive to cater to you � our customer. Closed most major US holidays. *Many of our customer's common questions are answered on this page. Prefer to contact us by phone? No, problem. Our toll free number is 877-951-9100, however because we are an internet based company, and 99% of our orders are placed online, we have geared our business towards more effective communication via online methods. If you need to fax us, our fax number is 866-205-1486. This makes it easier for us to answer our customer's inquiries, without having them have to spend wasted time on hold, while we research for them. Our employees wear many hats and may be in the front office, in the warehouse, checking in stock, or doing a variety of other every day tasks, at any time, so they like to have to chance to be able to thoroughly research and then answer your questions. For fastest communication we suggest you use the Customer Support Quick Contact Form. If you do call during business hours and get our voicemail, we are either busy helping other customers on the phone, or we may be tending to warehouse and shipping duties, but we don't want to miss your call, so please leave a message. A member of our team will get back with you the minute they are free. The more detail you leave, the better equipped we will be to answer your questions right then and there! 5. We have been known to answer our customers outside of regular office hours and even on holidays. Just like you, we do like to take time off for weekends and holidays, to spend with family and friends. But, we have been known to handle customer inquiries after hours. So feel free to send a message, even if we are closed. While we can't guarantee that we will get back to you while our office is closed, our track record is pretty good on doing so! 4. We are all animal lovers and have been known to bring our pets into the office with us. Yes, we all have dogs and cats, and even a rabbit, and we do sometimes bring them to work with us (that would be mostly the dogs). So, please excuse us if we take your call and it sounds like a kennel in our office! For most of us, they are our babies, and it improves morale to have them around during the day! Oh, and just so you know, we DO NOT let our animals into our warehouse, for safety reasons, and to keep our inventory free from animal dander and such. 3. We LOVE tootsie rolls (well, most of us do, anyway). No kidding! Tootsie rolls are a staple in our office. We actually purchase them in bulk, at a local warehouse club, so we don't run out. 2. We are headquartered out of Florida, near Tampa, but have warehouses all over the U.S.
Our business offices and main warehouse are north of Tampa, but we also have partnerships with distribution centers across the United States. We have partnered with them to (1) be able to offer a more diverse product line to our customers than we could with just our one location, and (2) to be able to ship products from warehouses that are the closest to our customers, when we can, to get their orders to them faster. 1. We don't have a staff member that has not been with us for at least 7 years. Our longest staff member has been here since we opened our doors, back in 2003, and our shortest staff member has been here for over seven years. We believe if you treat your employees well, they will treat your business and its customers well, so we foster an outstanding work environment, which keeps employees happy. Your Office Stop LLC has been in the office equipment and supply business for over 13 years. We strive to offer our customers top notch service, coupled with popular and hard to find office supplies and equipment, at reasonable prices. We have built our reputation on friendly service, super fast shipping, and constant communication during the ordering, processing and shipping of your order. It's easy for anyone to simply make such a claim, but we can back it up with over 13,000 happy customers on eBay, and a 100% positive feedback rating. 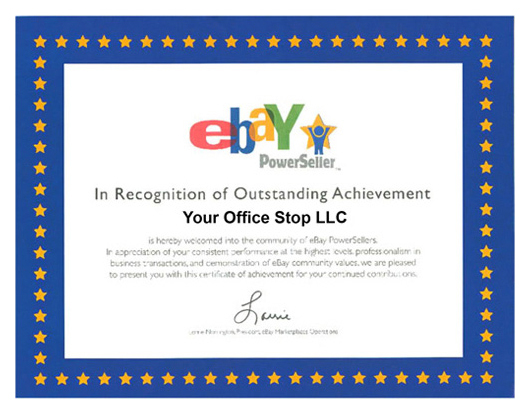 As a long standing "eBay Powerseller," since our first year of business with them, we have also earned their coveted "Top Rated Seller" status consistently, month after month, since the inception of their Top Rated Seller program. 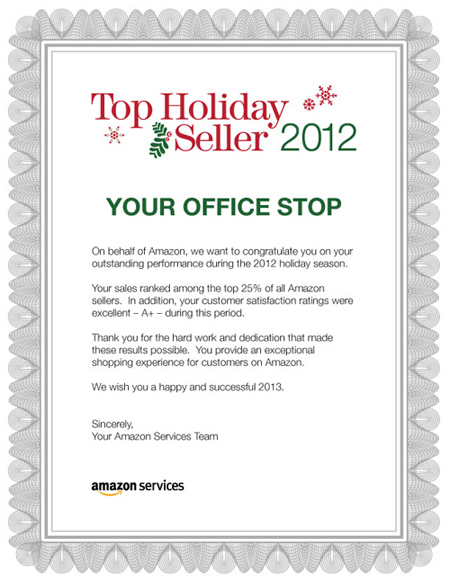 We have also been named a "Top Holiday Seller" on Amazon for several years in a row. *Do not send returns back to our business office. We have a different warehouse location that handles our returns.